Its towers pierce the sky. And dwarfing all the sea. Accepts his bonds of steel. Ask them the price they paid. What gave it force and power. For Fate had meant it so. Written upon completion of the building of the Golden Gate Bridge, May 1937. In Allen Brown, Golden Gate: biography of a Bridge (1965), 229. Gifford Pinchot points out that in colonial and pioneer days the forest was a foe and an obstacle to the settler. It had to be cleared away... But [now] as a nation we have not yet come to have a proper respect for the forest and to regard it as an indispensable part of our resources—one which is easily destroyed but difficult to replace; one which confers great benefits while it endures, but whose disappearance is accompanied by a train of evil consequences not readily foreseen and positively irreparable. Concluding remark, in 'A Country that has Used up its Trees', The Outlook (24 Mar 1906), 82, 700. The topic of the article is the extensive deforestation in China, its consequences, and that America must avoid such massive problems. Have you ever watched an eagle held captive in a zoo, fat and plump and full of food and safe from danger too? Then have you seen another wheeling high up in the sky, thin and hard and battle-scarred, but free to soar and fly? Well, which have you pitied the caged one or his brother? Though safe and warm from foe or storm, the captive, not the other! There’s something of the eagle in climbers, don’t you see; a secret thing, perhaps the soul, that clamors to be free. It’s a different sort of freedom from the kind we often mean, not free to work and eat and sleep and live in peace serene. But freedom like a wild thing to leap and soar and strive, to struggle with the icy blast, to really be alive. I told my wrath, my wrath did end. I told it not, my wrath did grow. Oxigen [oxygen], as you well know, is my hero as well as my foe, and being not only strong but inexhaustible in strategies and full of tricks, I was obliged to call up all my forces to lay hold of him, and make the subtle Being my prisoner. Letter to Michael Faraday (11 Dec 1860), The Letters of Faraday and Schoenbein, 1836-1862 (1899), 340. The most general survey shows us that the two foes of human happiness are pain and boredom. In Arthur Schopenhauer and T. Bailey Saunders (ed., trans), The Wisdom of Life (1897), 23. Their foes superior by an Inch. And these have smaller Fleas to bite 'em. And so proceed ad infinitum. On Poetry: A Rhapsody (1735), lines 339-44. We all pay an involuntary homage to antiquity – a “blind homage,” as Bacon calls it in his “Novum Organum,” which tends greatly to the obstruction of truth. To the great majority of mortal eyes, Time sanctifies everything that he does not destroy. The mere fact of anything being spared by the great foe makes it a favourite with us, who are sure to fall his victims. From Memoirs of Extraordinary Popular Delusions (1841), Vol. 1, 314. We have been scourged by invisible thongs, attacked from impenetrable ambuscades, and it is only to-day that the light of science is being let in upon the murderous dominion of our foes. From Lecture (19 Oct 1876) to the Glasgow Science Lectures Association, 'Fermentation, and its Bearings on the Phenomena of Disease,' printed in The Fortnightly Review (1 Nov 1876), 26 N.S., No. 119, 572. 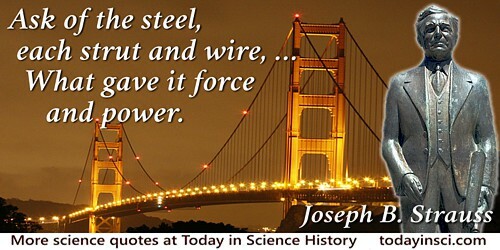 Visit our Science and Scientist Quotations index for more Science Quotes from archaeologists, biologists, chemists, geologists, inventors and inventions, mathematicians, physicists, pioneers in medicine, science events and technology. with quiz, quotes and more.